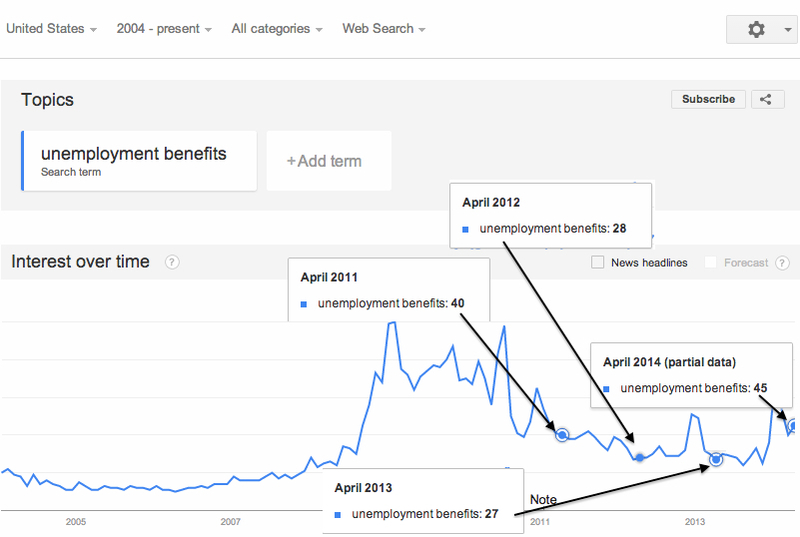 With 10 days to go in the month of April, we have already seen searches for the term “Unemployment Benefits” surpass search volume levels for the same month last year. 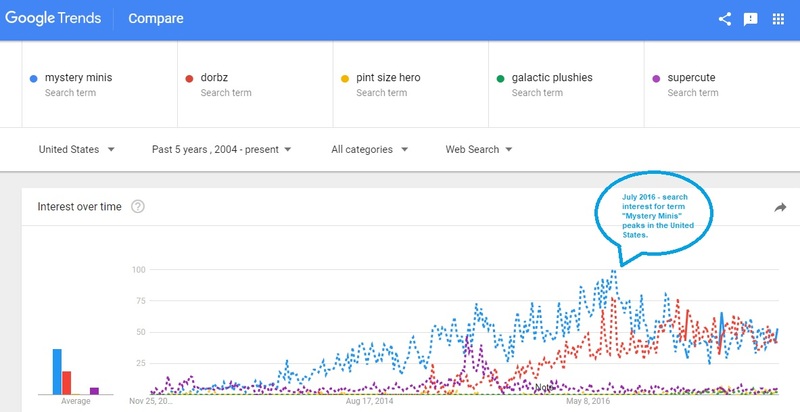 In fact, the search volume for the term has also outpaced search volumes for the same month in 2011 and 2012, a time where the unemployment rate topped the 8% mark. The expectation would be that the Bureau of Labour Statistics publishes an unemployment rate that has increased over the month of March 2014. In the event that searches for the remainder of the April 2014 continue upward in a strong manner, it would only add further support of the unemployment rate coming in higher.